The UF College of Journalism and Communications has had six deans since it officially was named a College in 1968 and Rae O. Weimer, who had been director of the School since 1949, was elevated to Dean. Weimer retired the following year and was succeeded by John Paul Jones Jr., who served the College from 1968-1976. 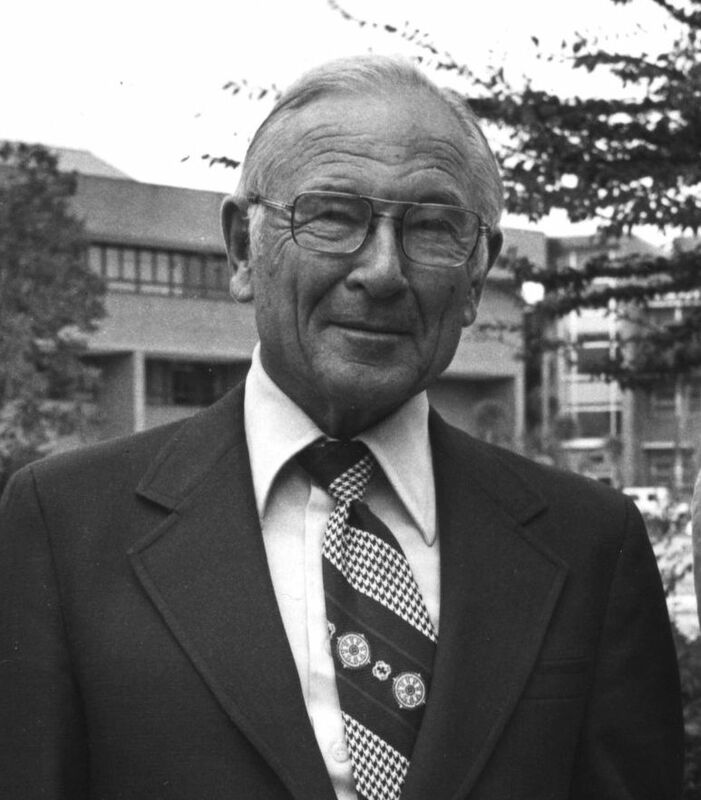 Ralph L. Lowenstein became the third Dean of the College in 1976 and served 18 years, stepping down in 1994. 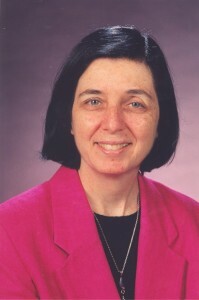 Terry Hynes, the first woman to serve as Dean of the College, followed Lowenstein and served served until 2006. John W. Wright II took the helm in 2006 and served for six years. Diane McFarlin became the sixth Dean of the UF College of Journalism and Communications in Jan. 2013. In 1949, when Rae O. Weimer was named Director of the school that would eventually become the UF College of Journalism and Communications, he found the school as he said, “owned one book, a dog-eared dictionary and one typewriter that a secretary used.” By the time he retired as dean 19 years later, he had transformed the College from a three-man academic unit into the second largest college of its type in the nation and sent almost 2,000 graduates on their way. Enrollment jumped from 29 in 1949 to 736 in 1968 and the faculty increased from five to 33 members. 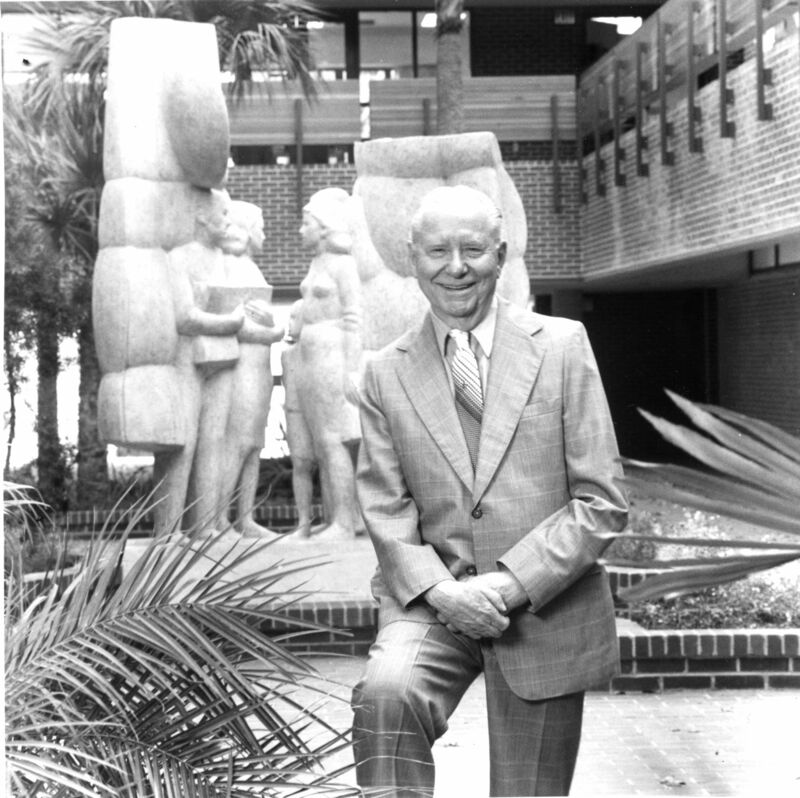 A man who had no college degrees, Weimer led the College to national prominence by the sheer force of his personality and vision. He spent 25 years in the newspaper industry before coming to UF and was the managing editor of the New York PM, the nation’s first modern newspaper without advertisements. Born in Nebraska in 1903, Weimer grew up on a farm. Although circumstances prevented Rae from completing college, he became a scholar through self-education and determination. He worked at several newspapers throughout the Midwest before joining New York PM, gaining valuable experience in all facets of the industry and moving up to higher levels of responsibilities. Weimer, who was sought out in 1949 by then UF president J. Hillis Miller to head up the School of Journalism, was beloved by students, alumni and faculty alike; he was known to fight for his students and faculty, and to hire top journalists as faculty members even when the University objected to those who didn’t have top degrees in their field. The journalism program was accredited in 1950, advertising in 1955 and broadcasting in 1958. WUFT-TV went on the air. The public relations major was first approved. The radio and television program was transferred to the school from the Speech Department. The school launched its graduate program. Mickie Newbill Edwardson was the first woman appointed to full-time faculty. When the College moved into its new building in 1981, Weimer was honored by the University and the State of Florida in their naming the building Weimer Hall. After his retirement, Weimer stayed active in the community, serving on hospital boards, civic organizations and in his church. He launched the Weimer Group tours and traveled to all parts of the world with friends and family. Weimer died in November of 1996 at the age of 93. Another talent which Rae amply demonstrated was human relations – and not just with the Florida press and others of every possible political persuasion. Permit one small example. My wife and I contracted to build a house in 1967, and Rae insisted, somewhat foolishly I thought, on visiting the site. We met him and Ruth there, under a roof supported by a few bricks and sticks, with this spot going to be the living room and this spot a den and this spot a bath. At that point, from a paper bag, Rae whipped out a bottle of champagne and four plastic goblets for a toast to our good fortune. Now I ask you, to a boss like that, would you give a hard time. Rae Weimer founded the College on two principles. One, this would be a professional school, based strongly on solid, hands-on training for the media professions. Second, this would be a school for all communications media – journalism, advertising, broadcasting and public relations, without any apologies for the teaching of any of those professions. Rae Weimer’s legacy is that those principles permeate the life of the College today. John Paul Jones, JM 1937, was named the second Dean of the College of Journalism and Communications in 1968, following the term of his longtime friend and colleague Rae O. Weimer. Born in Micanopy in March 1912, Jones attended and graduated from public schools in Gainesville. He graduated from UF in 1937, earning high honors in journalism. He later earned a master’s degree from the University of Wisconsin and pursued doctoral studies in history and political science at the University of Illinois. In 1948, Jones was hired as the School’s third faculty member, arriving a year before Weimer came on as director of the School. Together, Jones and Weimer formed a long-standing team in which Weimer was “Mr. Outside,” spreading the growing reputation of the College to professionals and potential students, and Jones was “Mr. Inside,” building the curriculum to one of the most demanding in the country. It was during Jones’ tenure as Dean that the College saw such significant growth that in 1975 the University capped the College’s enrollment. When Jones became Dean in 1968 he headed a faculty of 33, with a student enrollment of 736. When he stepped down just eight short years later to return to teaching, the faculty had grown to 39 and student enrollment was 1,119. Jones was a leader in the newspaper industry, serving as the secretary-manager of the Florida Press Association for 16 years. 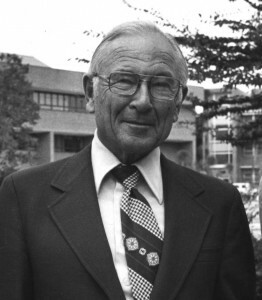 He was in the initial class inducted into the association’s Hall of Fame in 1989 and was named an alumnus of distinction of the College in 1982. The Gannett Foundation made a challenge gift of $1 million to the university for a new building, which would lead to the construction of Weimer Hall that opened in 1980. The College broke into separate departments of Advertising, Broadcasting (now Telecommunication), Journalism and Public Relations. The first chairpersons were selected: Dr. Frank Pierce – Advertising; Dr. Kenneth Christiansen – Broadcasting; Dr. John Griffith – Journalism; and Dr. Glenn Butler – Public Relations. The $600,000 Karl and Madira Bickel trust fund was established to create an undergraduate assistantship program. Administration of WRUF AM&FM was placed in the College. A prolific writer, his articles appeared in many of the nation’s leading magazines and he authored five journalism textbooks and published three volumes of poetry. In 1981, Jones fulfilled a life-long dream of publishing a magazine when he created Guide to North Florida Living (later North Florida Living). He ran it until 1997. Jones died in 2001 at the age of 89. 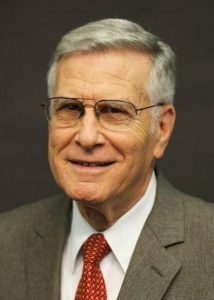 Dean Emeritus Ralph L. Lowenstein was named the third Dean of the College in 1976 following the retirement of John Paul Jones Jr. Lowenstein was chairman of the news-editorial program at the University of Missouri prior to coming to UF. Was one of the country’s first universities to install a large, integrated PC network, made up of some 300 computers. Dean Emerita Dr. Terry Hynes became the fourth dean of the College and the first woman at the helm when she succeeded Ralph Lowenstein in 1994. She served until 2006 when she stepped down to serve for a year as an assistant vice president for UF’s University Relations. She retired from UF in 2008 and was named the senior vice chancellor for Academic and Student Affairs at the University of Nebraska-Omaha. She held that position until 2011. Prior to becoming Dean, Hynes was the chair of the Department of Communications at California State University – Fullerton. A specialist in journalism history, Hynes served as president of the Association of Education in Journalism and Mass Communications in 1991-92. She was named the Freedom Forum Journalism Administrator of the Year in 1997. A Boston native, Hynes earned a bachelor’s degree in English and intellectual history at Regis College, and master’s and doctorate degrees in English and mass communication, respectively, at the University of Wisconsin-Madison. Created new specialties in science/health communication, political communication, and international communication and a new master’s degree in advertising. Contract research grants to faculty exceeded $1 million for the first time. The Knight Foundation created an endowed chair in Journalism Technologies and the Democratic Process. Launched the Marion Brechner Citizen Access Project. Attracted almost $70 million in private funds, contracts, and grants and raised the market value of the College’s endowments from $12 million to $45 million. 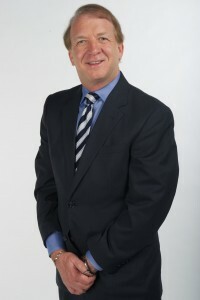 Dr. John W. Wright II became the fifth dean of the College of Journalism and Communications at the University of Florida when he succeeded Terry Hynes in 2006. Prior to assuming the deanship, he served as executive associate dean from 2001-2006 and as senior associate dean from 1999-2001. A professor of telecommunication, Wright earned his doctorate degree from The Ohio State University and his master’s and bachelor’s degree from the University of Central Florida. He joined the College’s faculty in 1982 after serving as an assistant professor at University of Alabama, Birmingham. His research and teaching interests include media law, telecommunication regulations, media management, and electronic journalism. He has worked in radio at WAUC, WAVP, WINQ, WJCM and WSEB in areas such as staff announcing, production manager, music director, news reporter, news director, program director for AM-FM station. He also worked for WEDU-TV in St. Petersburg. Wright was selected three times as “Teacher of the Year” for the College in 1984-1985, 1989-90, and 1992-93, and was selected as “Researcher of the Year” in 1988.